For more than 21 years, I have been a leading Realtor in Ahwatukee and top seller of custom homes and custom home lots in the area. I am proud of the fact that myself and my former real estate partner, Jim Spadafore, now retired, contributed to the growth of the community by listing and marketing several high profile luxury developments- including Canyon Verde and Candlewood Views. It is very gratifying to utilize both my experience in the luxury home market and my corporate finance background to help clients walk through the many products and decisions they need to make when choosing to build a custom home. While a good portion of my work is Ahwatukee, I also enjoy helping clients all around the Southeast Valley. If you are in the luxury home market and looking to purchase land and/or build a custom home of your dreams in the Southeast Valley, contact the team with the track record for success! 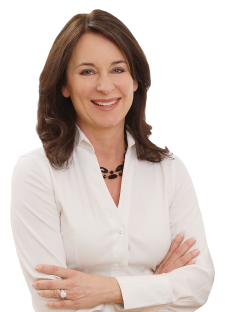 "Bonny has been the consummate professional throughout the process of selling our home in Ahwatukee Custom Estates. Her knowledge of the relevant market and our home's place within that market guided us through the listing and pricing process. She championed our home to clients through the marketing phase, emphasizing its strengths and its value. And after we accepted an offer, she expertly helped us navigate our way through the myriad steps required to bring the deal to a quick and on-time close. Her genuine, compassionate and competent manner, coupled with her passion for what she does and the grace with which she does it, served us and the Buyers extremely well. We highly recommend Bonny without hesitation." "We have known Bonny for 20+ years. During that time she has established an outstanding reputation for selling homes in the Ahwatukee Foothills area. This is the first opportunity we have had to work with her on the professional level for both selling our home and purchasing a new home. Although we knew she would do a fantastic job representing our 6000 sq ft home for sale, we also discovered just how well networked she was with agents all over the valley. Our home was marketed well before it entered the MLS and the interest developed quickly to the point where it sold just after entering MLS. Bonny and her team work seamlessly together to provide an outstanding service whether buying or selling a home. The contract phase went smoothly on both ends due to their attention to detail, knowledge of the process, communication, and experience. The Home Inspection period and BINSR Reporting also was handled in an expeditious manner. Bonny and her team offer valuable counsel on items that are represented in the report. They have a large network of professionals they refer to perform repairs and remedial work, if needed. On the buying side of their business, Bonny and her team worked patiently with us to find our next property. They were always available to schedule showings and answer our questions, from early morning to late evening. They made us feel as though we were their only client and that our satisfaction was their top priority. Overall, Bonny Holland and her team have shown excellent communication, a high degree of professionalism, and years worth of experience to make our buying and selling processes go so smoothly. We would highly recommend that you consider them for your needs. They have particular expertise in the luxury home market and will represent your property in the best possible manner!" "Working with Bonny, we were able to see 1st hand why she is the best! From Day 1 she brought data, facts and a plan. In addition, Bonny is very professional, friendly, high energy and delivers results". "Bonny was recommended by a friend. After an interview we agreed to have her list our home. She brought in a stager who gave recommendations on how to prepare our home. Her photographer took excellent photos that helped showcase our home. We received a very good offer within 24 hours of the home appearing on the MLS. Bonny worked with us through the inspection repair items and provided a good list of repair companies. My wife and I highly recommend Bonny to anyone willing to listen to her suggestions and who wants results." "Bonny Holland has been a prolific realtor in the Foothills/Ahwatukee area for many years, with an excellent reputation. When we decided to move back to Arizona from California, Bonny was the first person we contacted. Her knowledge of the area as well as the current market conditions is extensive. We gave Bonny quite specific requests as to the kind of house we wanted and the area and she LISTENED, showing us homes that fit our needs. We were selling in California and buying in Arizona, two simultaneous escrows and very stressful. Bonny was always there at the end of the phone line to reassure us and answer our many questions. I cannot recommend her highly enough!! Bonny is the best!!"